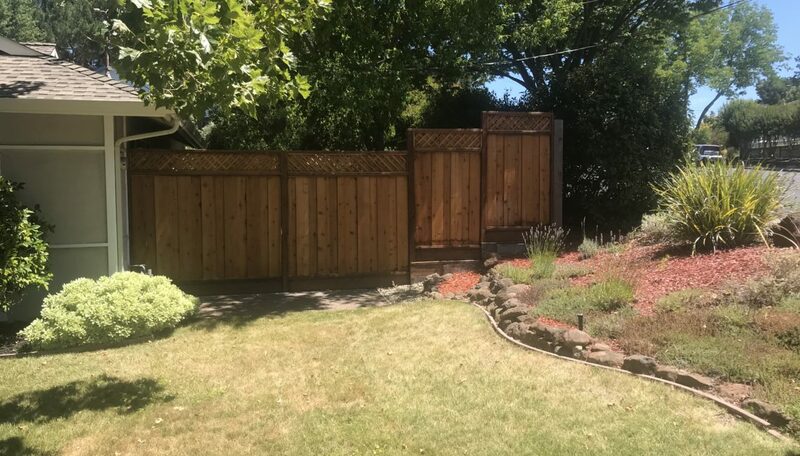 This project included two front fences each connecting the side fence to the house. The left side included a matching pedestrian gate while the right side had to be built on a steep hill! 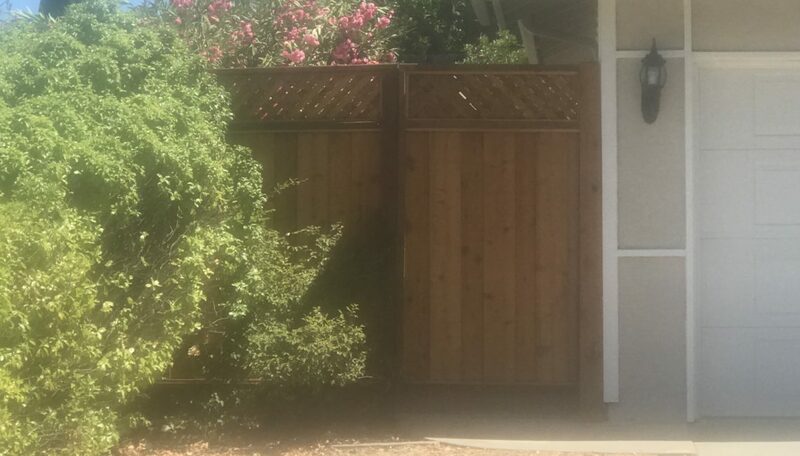 With this fence we were faced with several design challenges. 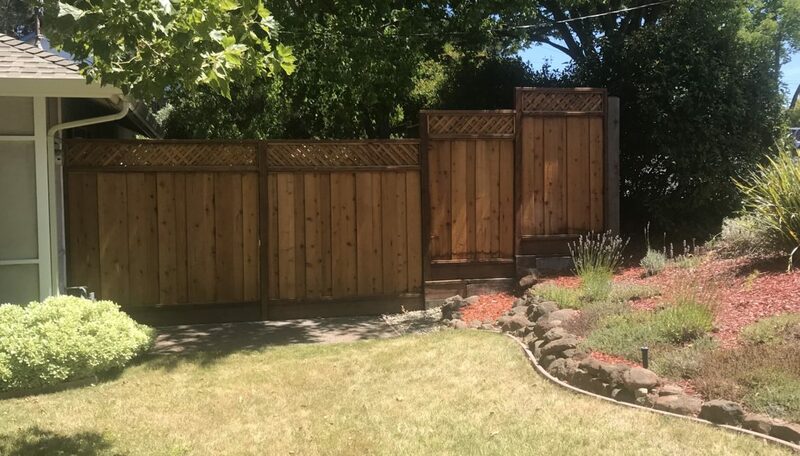 The previous fence was a mismatch of sloping sections that also stepped down making for a fence that was less than aesthetically pleasing! 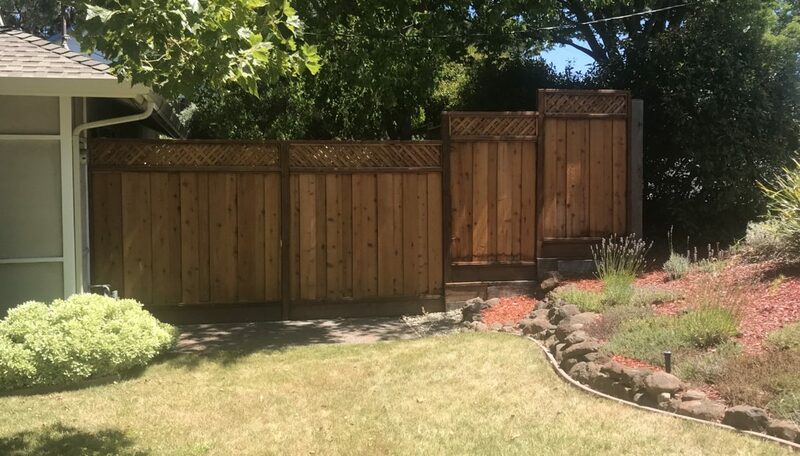 The homeowner asked that we do our best to not slope the panels as they didn’t like the look of it and with a slope as steep as this one we agreed it should definitely be stepped not sloped. The issue was the right hand section had to drop at least 3-4feet over only a 6 foot span which would be a huge step down and would look really odd. To overcome this issue we split the normal 8 foot section into 2 four foot sections and stepped each one down. The result as you can see in the pictures turned out great!